In The Civil War: A Narrative, Vol. 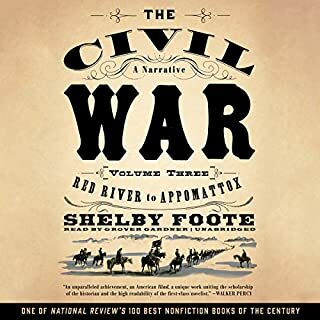 3, Shelby Foote follows the events of the war from 1862 through 1864, discussing the strategies of both the North and the South and assessing the performance of the Union generals. The book opens with the beginning of the two final, major confrontations of the war: Grant against Lee in Virginia and Sherman pressing Johnston in North Georgia. 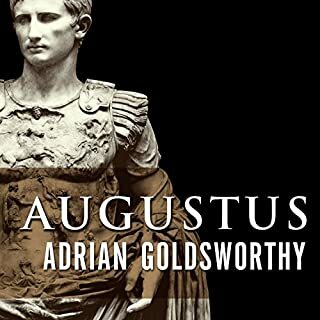 In vivid narrative as seen from both sides, he tells of the climactic struggles, great and small, on and off the field of battle, that finally decided the fate of this nation. ©2015 Will and Ariel Durant (P)2015 Blackstone Audio, Inc. There are plenty of good books, great books even, then there are books that are so remarkable that they transcend there intended purpose. completing this series has to change your life-why? because it puts everything you know into context which enables you to understand yourself,your community, your government your world and its times. beyond that its just all so fascinating and well written that its hard to imagine anything better. It makes me want to teach history but not the kind of boring trash I was exposed to in school. I try to tell my kids stories from history. At first they dont even want to hear it because history as they have experienced it and as I did is brutally boring- but if i can get them to listen they are fascinated but confused, they always say well why dont we learn cool stuff like that in school??. Good question. It not only saddens me it pisses me off. Anyway this is an outstanding book that could make a history lover out of anyone. Definitely. 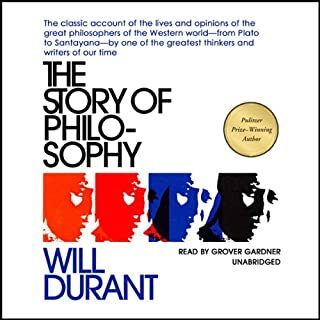 I have read dozens of books on world history, and none compare to the thoroughness, insight into the nature of man via history, and philosophical perspectives and penmanship of Will Durant. Excellent narrator. His pace, tone, and inflections seem to communicate the meaning of the author's words in an enthusiastic, effective, and effortless manner. The authors look at the bricks that go into making up the building of civilization (and more so than with the other volumes in the series they mean the 'cultured man' (almost always a man in this telling)). But, sometimes to understand the whole building it's best not to dwell too much on each of the bricks separately as the authors do within this volume. There is a lack of context for most of the stories told about the people featured in this volume. Very little on the moving pieces that make up Western Europe as a whole. But, with the Durant's one always gets a beautiful turn of phase and deep thoughts thrown in from time to time, "a mob never has reason, but only has feelings". 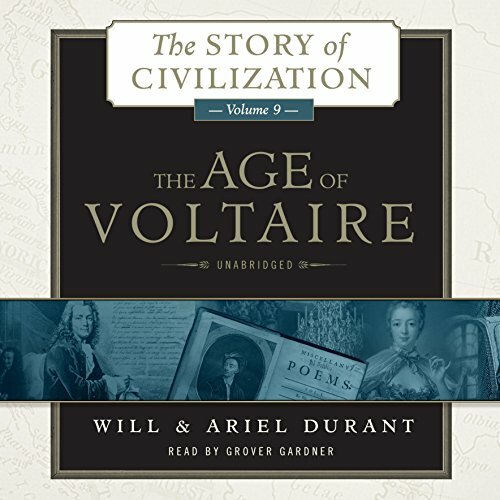 Voltaire, is always interesting: 'the Catholics believe they are eating the body, the Protestants think they are eating both bread and the body, and the Calvinist think they are eating only bread", "is it one person, one nature, and one will, or two persons, one nature, and one will......". But as with every book in the series there is a weird anachronistic racism or misogynism that lurks around. They should have known better by 1965: 'who can trust a woman on the opinion of another woman". I guess, they think that was a funny line, but why did you put that woman's opinion in the story if you were going to negate her opinion by negating the opinion of all women regarding other women. There's other misogynism in the story, but it wouldn't be the Durants if they didn't have those kind of anachronisms floating within their story. I don't really need one hour on what they claim was the first English 'novel' "Pamela", and its follow up "Clarissa" each with their multiple volumes by Richardson (as I was thinking during the long summaries about each novel, "Pamela tells nothing, and Clarissa tells it all"), but I really did not need to know what they contained in such excruciating detail. A lot of this Volume shares too much. I didn't think that about the other three volumes I've read in this series. Sometimes, it's better to ignore the bricks and talk about the building. Also, there is more to Western Europe than just England and France (and just a little bit of Germany, but that's mostly because Voltaire was there. Good gosh, there was a German enlightenment and part of it was taking place during that time). The world is a moving web with interactions beyond just two nodes especially since those nodes exist in the real world. 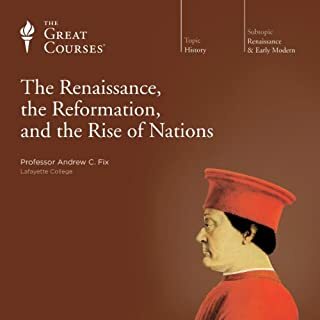 Regretfully, audible doesn't have Paul Hazards "Crisis of the European Mind, 1680-1715". It's a better book, and I would recommend that instead. 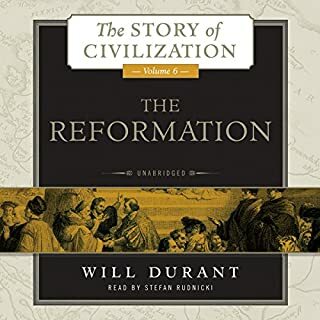 I have been steadily listening to Durant's entire series for about 18 months. It is an excellent series and fuels further study -- and this is coming from an engineer by education and trade. Durant has only very subtle bias and makes this journey invaluable. Gardner and Rodnicki (sp?) trade back and forth in the task of narration and are excellent. This part continues to show the conflict between wisdom, religion and secularism. Behind all this is the motivation for wealth, power and the unreachable illusion of freedom and happiness. Having listened to the series since the beginning, the author presents an excellent continued history of the social developments as population and societies and ethnic groups evolve. My point of view as of now is that humans are a sorry species. 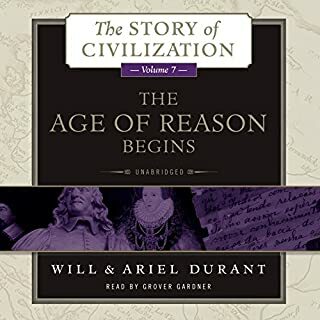 But the Story of Civilization is an excellent gem. Voltaire, Frederick, and Bach, Oh My! 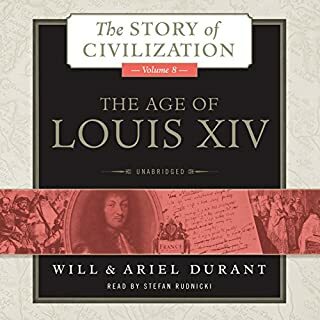 This is the 9th book of the 11 book excellent, integrated history, Story of Civilization series. 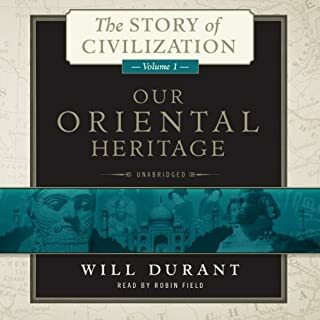 For my review of the series as a whole see my review of “Our Oriental Heritage”. 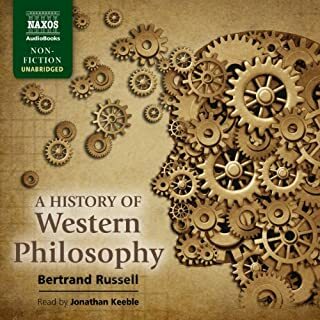 This volume covers 1715 to 1756 in Western Europe including the life and thought of Voltaire, Frederick the Great, Bach, Diderot, and the Encyclopediests. 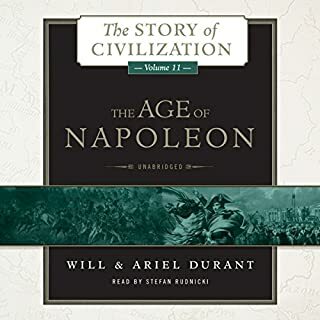 Even if you don’t like reading history, you should give this series a try. 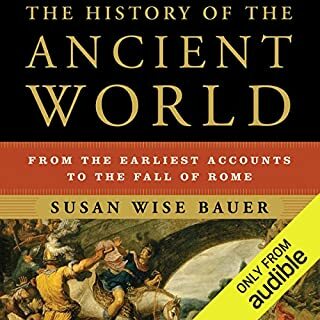 This series presents an integrated history of ideas, personalities, and the ebbs and flows of history, and not just dry retellings of events and dates. The subtleties of the relationship between Voltaire and Frederick is explored, as is the sometimes strained relationships between the Encyclopediests. I have read other histories covering this period but they did not provided as balanced a presentation of these relationships. Much of this volume explores the conflict between religion and philosophy and science. Being an integrated history, the art, science, medicine, rulers, laws, religion, philosophy, and morals of the period are covered. 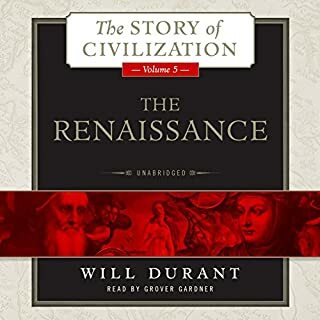 Wonderfully narrated by Grover Gardner. 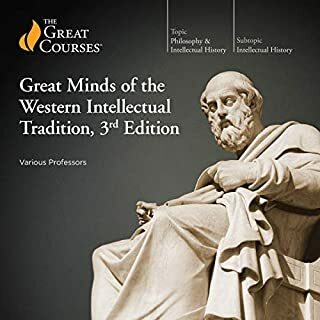 The best and most comprehensive overview of European thought and history. The Durants spin wonderful factual stories from history and it's personalities. 5 readings are not enough to digest this multilayered pageant. Especially appreciate inclusion of the Turks and the Persians, so often omitted from European history. Not to mention Poland, Scandinavia, Russia, etc. 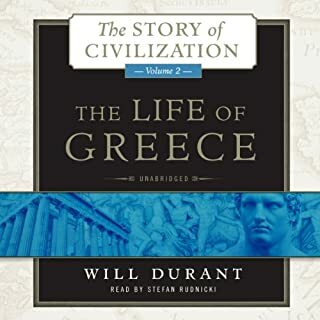 This work is a change of pace in the Durants’ wonderful history series. It documents Voltaire and the change in European philosophy that led to changes in religion and monarchy in Europe. These changes also influenced those in other countries, including the Americas. 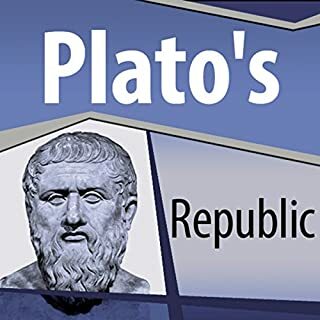 I enjoyed this emphasis on philosophy and how it overcame those who tried to suppress fundamental rights that we often take for granted today. I thought you couldn't top The Age of Louis XIV, but this story had me riveted until the last page and wanting more. I came to love Voltaire and his work despite the fact he is often slandered as an atheist. 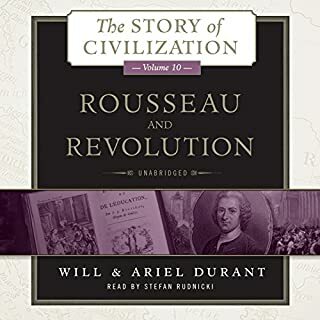 I love how Durant tiptoes around Rousseau and the Revolution and leaves me excited to binge listen to his next volume. As with the whole series, this one was also incredible. I look forward to the next book. And please take extra care to listen to the epilogue. It is the best part of a great book.